A Good Samaritan, witnessing a group of individuals tossing week-old kittens into the air, intervened, convincing them to stop and give up one of the kittens. A Good Samaritan, witnessing a group of individuals tossing week-old kittens into the air, stepped up and intervened, convincing the evil-doers to stop and give up one of the kittens. 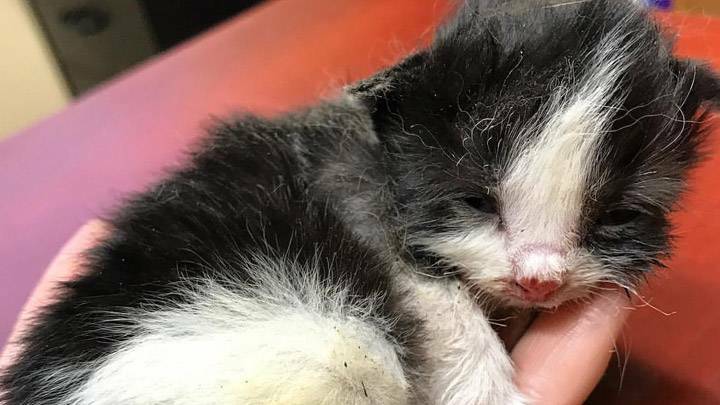 Rushed to the The SPCA in Prince Albert, Saskatchewan, the kitten was taken in and animal protection officers were dispatched immediately to retrieve the other four. The organization is has an on-going investigation in progress, but finding it difficult to identify those who were involved, but they are looking and hoping for more leads. While these kinds of cases can be very hard to prosecute, they will continue to search for the culprits. In the meantime, the brave act of the witness in not only saving a kitten but alerting the authorities, is nothing short of heroic. Follow the kittens and the good work of the Price Albert SPCA on their Facebook page. So many sick demented POS in the world!! !